Stand in Greenwich Park and you'll sense the sweep of history as you look over from the stately royal buildings beside you to the skyline of Canary Wharf. This area is located in Zone 2 and is only five miles from central London, but living in Greenwich makes you feel like you've finally escaped the rat-race. To the west you'll find stately Georgian townhouses, rivermen's cottages and imposing baroque architecture, while to the east there's a more urban feel. There are three popular state-run primary schools in Greenwich, with two secondary schools nearby. It’s a great place to set up home or consider making a London property investment. 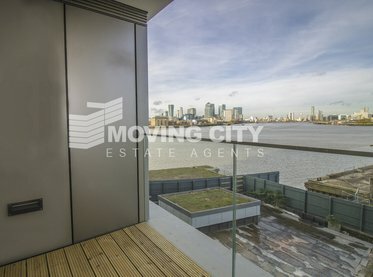 From Greenwich you can reach the city in around half an hour, or pop across the river to Canary Wharf in half that time. Main stations are Greenwich (National Rail and DLR), Cutty Sark (DLR) and North Greenwich underground station (Jubilee Line). The village is a great place to eat, drink and browse. If you're after serious retail therapy or full-on nightlife then central London is probably your best bet, but Greenwich's laid-back vibe makes it popular with more relaxed young professionals and families. When shopping in Greenwich, the famous market is a must for everything from clothes to tasty global street foods. Attractions in Greenwich include the National Maritime Museum, the Cutty Sark, the Royal Observatory and the famous 02 concert venue. In summer the Greenwich+Docklands International Festival stages over 200 events across ten days.